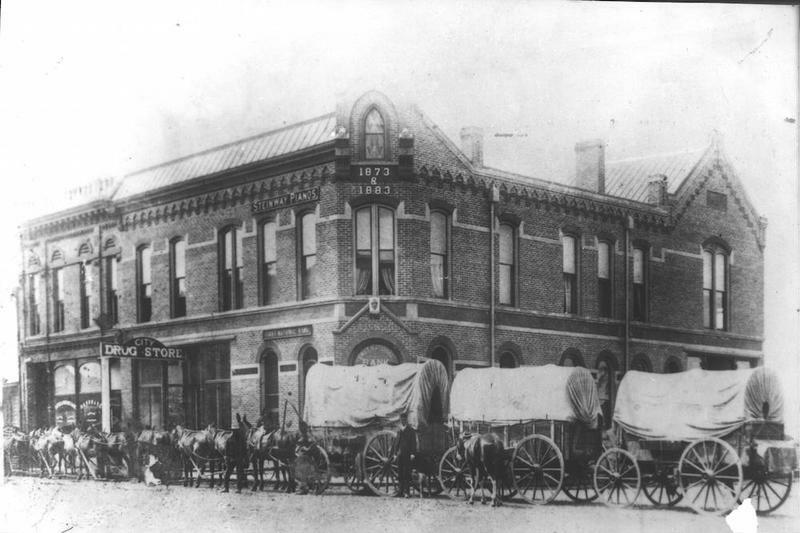 For the first decades of Spokane’s history, its citizens got around on foot or on horse. 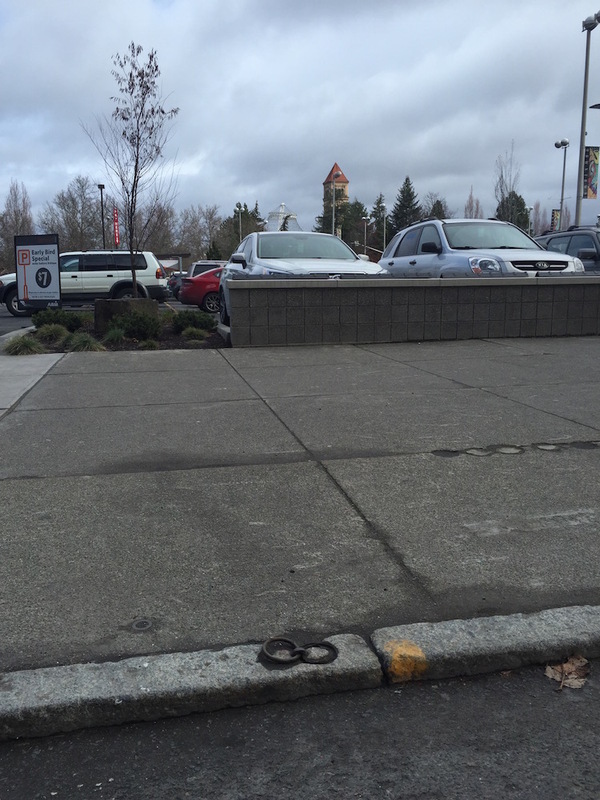 In a very few places downtown, horse rings can still be found in the granite curbs. Here, on the corner of Main and Stevens in downtown Spokane, lie two remnants from the late 1800s or early 1900s. Horse drawn carriages were typically owned by the affluent. Many of the wealthy lived in Browne’s Addition mansions that date back to Spokane’s ‘Age of Elegance’ in the 1890s. Many of these mansions have held on to their carriage houses and stables. The Patrick Clark house, or “Patsy” Clark house, built by Kirtland Cutter, has both a carriage house and stable that housed their two Shetland ponies, a driving horse for their two-wheel cart, two lighter horses for their Spider, two heavy horses for their Landau. But when people came into town, they needed a place to tie their horses. 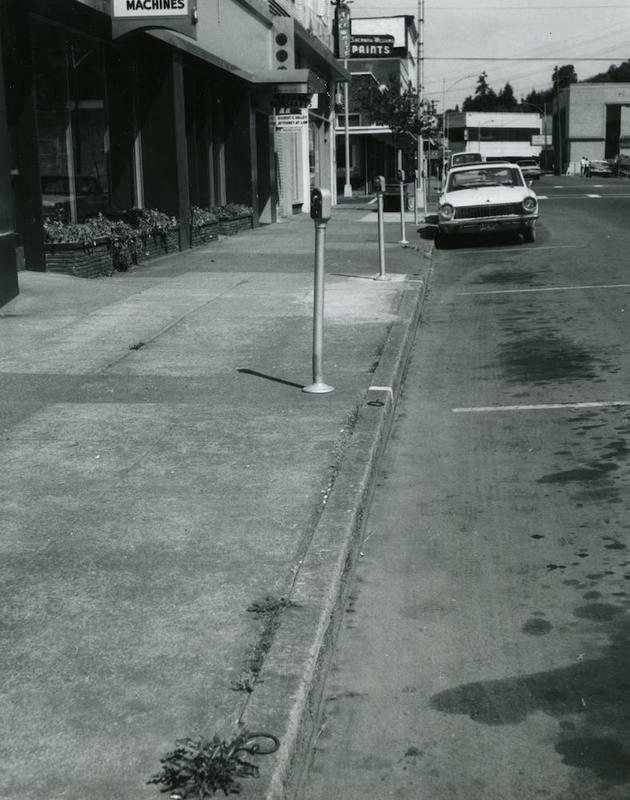 At one time, horse rings like these would have dotted nearly every Spokane curb. In the early days of Spokane, the economic and population boom increased the demand on streetcars and a much needed transportation system. 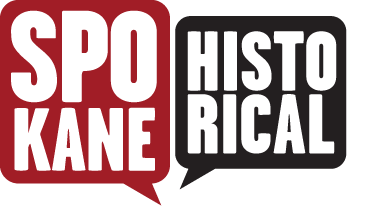 The Spokane Transit Service began in 1883, as a series of independent horse-drawn vehicles. In 1886, real estate investors John J. Browne, Henry C. Marshall, and Andrew Ross created the Spokane Street Railway Company to make their properties more accessible to the people. In April 1888, Spokane’s first streetcar, pulled by horses, traveled from Riverside Avenue to Browne’s Addition. 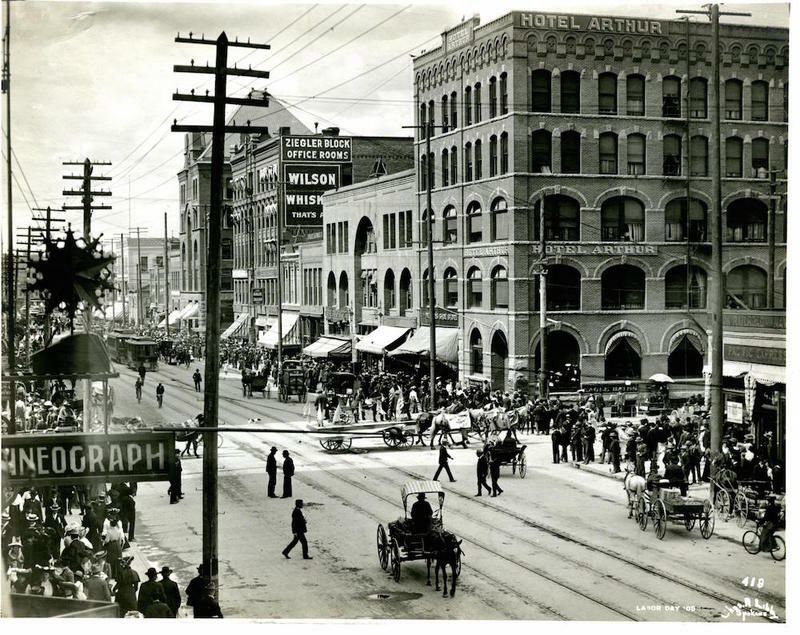 Only two months later Spokane’s first cable car line and steam-powered lines began operating on the South Hill. In 1889 the first electric trolley arrived in Spokane. Horse drawn carriages soon became remnants of the past. By 1910, at least 150 trolley cars carried 24 million riders to work, errands, or entertainment. The electric trolley and streetcar system was maintained through the 1930s but once Henry Ford introduced his Model T. in 1908, automobiles and city buses replaced the trolleys. Today, horse drawn carriage rides are a romantic activity set aside for weddings and special events. In the colder months, one can experience the wonder of an old fashioned holiday season in downtown Spokane with free carriage rides starting at Wall Street and going through Main Avenue, just passing the old horse rings on the corner sidewalk from over a hundred years ago. Nicolle Southwick, “Horse Rings,” Spokane Historical, accessed April 20, 2019, https://spokanehistorical.org/items/show/604. Spokane Transit in Spokane: An Evolution www.spokanetransit.com. Spokane History-age of elegance www.discovery-school.org/elegance.html. Zachary Wnek, “Streetcars in Browne's Addition,” Spokane Historical, accessed May 31, 2013, http://spokanehistorical.org/items/show.